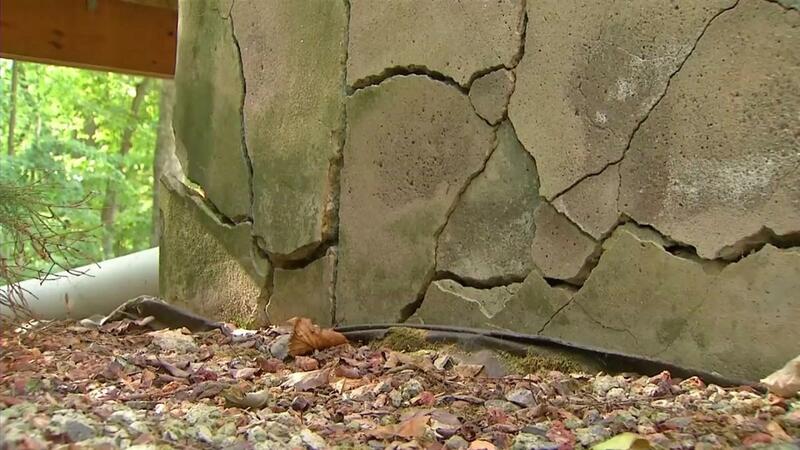 Some homeowners in northeastern CT are struggling with deteriorating concrete foundations. Here's what we know. Some (hundreds?) 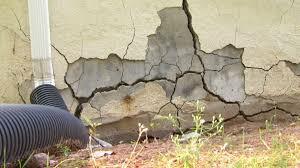 of concrete foundations poured for homes in northeast Connecticut in the early 1980's are now rapidly cracking, crumbling, and failing due to pyrrhotite in the concrete mix. Pyrrhotite is an iron sulfide mineral. It reacts with oxygen and water to cause swelling and cracking. 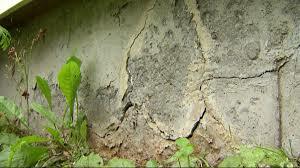 The homes with bad foundations have been linked to the JJ Motes Company of Stafford CT., a quarry / cement provider in Connecticut that provided the concrete mix. It has been estimated that this company provided concrete mix used to build over 10,000 foundations in the affected towns. ​until recently. Large cracks and settling started 20+ years after the homes were built. Foundations that are failing need rebuilding, with costs estimated to be averaging around $150,000 per home, not including demolition or rebuilding of finished basements. Some estimates put the cost of rebuilding at over $1 billion for this region of the state, and this is possibly a conservative estimate. 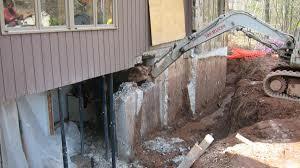 At this time insurance companies have denied all claims by homeowners involving these foundations. 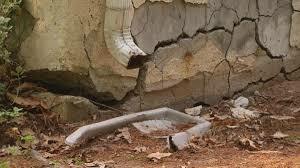 Allied Home Inspections LLC can inspect your house foundation for defects, settling, and any signs of deterioration.